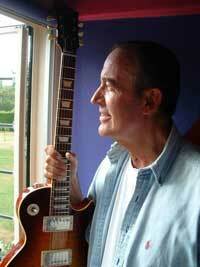 Mike Hurst has been a major player in the music industry for over 40 years. An original member of the top British vocal group The Springfields, Mike then went on to become one of the most successful producers of the 60s, 70s and 80s. He achieved 51 top 40 singles and 25 gold and platinum albums with such major stars as Cat Stevens, Manfred Mann, The Move, Spencer Davies Group, Showaddywaddy, The Four Tops, Cilla Black, Shakin’ Stevens, and Belle & Sebastian. Mike has also become a featured lecturer on the schools circuit, giving on average around 60 lectures per year, which cover the development of popular music over the last 500 years. He also plays with his own band, The All Stars, featuring Ray Fenwick on guitar, Clem Cattini on drums, and Terry Pack on bass. Mike also writes pantomimes for children, and features in the current Guinness World Record book for the biggest number of family members on stage in a production. He fielded 24, children, grandchildren and spouses. Mike is also currently planning a school of rock at a major public school during the summer of 2006. Rock Masters will be staffed by some of the top British musicians of the last 30 years, and will cover all aspects of rock and pop, from the would-be Jimmy Paige’s to the singer/songwriter. Mike Hurst is one of the last remaining producers of British 20 th century music still active today, and as such is something of a legend. At least, that’s what his family says.